Have an idea to learn or promote learning? Get together with your friends, neighbours and community! 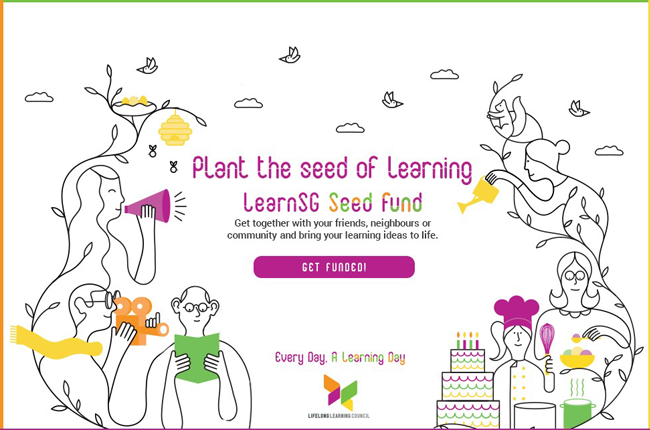 Lifelong Learning Council is looking for ideas that promote learning, inspire others and benefit the community in Singapore. 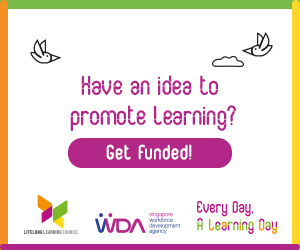 Any project that promotes lifelong learning. no idea is too big or too small, it could be an event, app, a video, workshop or more! Up to 90% of qualifying costs, capped at $50,000, whichever is lower.